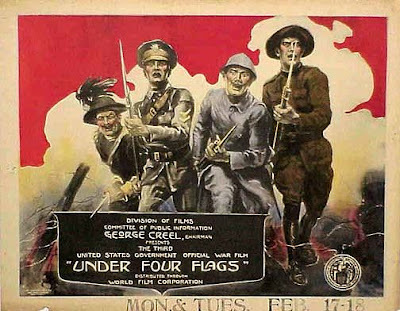 Released nationwide by the World Film Corporation in January 1919, Under Four Flags was the last official World War I feature film produced by the Committee on Public Information (CPI), America's wartime propaganda agency. Segments of this historic film from the collection of the Library of Congress are now available online. With 1,820 bookings in American theaters, grossing almost $ 64,000,- Under Four Flags did not live up to the expectations of the CPI Film Division. The movie premiered in New York City at the prestigious Rialto and Rivoli theaters in November 1918, shortly after the Armistice was signed. The end of World War I was included into the movie with a caption announcing "The Victory of Democracy". President Woodrow Wilson next was shown on screen, as are victory parades in Washington, D.C. The film concluded: “And now the cannon’s roar has ceased and peaceful days and peaceful nights have come again to those across the seas." Public interest in the Great War quickly disappeared in the United States after the signing of the Armistice, which is - apart from the impact of the flu epidemic - the main reason why Under Four Flags did not prove to be a box office hit. As described by Benjamin B. Hampton in his book The History of the American Film Industry: "On November 11th war pictures were saleable merchandise; on the night of November 11th they became unmarketable. During the dull months of 1918, while the studios were marking time, the principal item of production had been war pictures. On Armistice Day, distributors and producers had almost nothing else in their warerooms; they faced the loss of millions of dollars in property now worthless through this sudden twist in the taste of their customers." The original film version of Under Four Flags had seven reels, with footage showing the American offensives at Château-Thierry and St. Mihiel. As a contribution to the Allied war effort, the fifth reel had scenes showing the Italian army fighting against the Austrians in the Alps. Most of the original footage in this CPI movie was shot by military cameramen of the U.S. Signal Corps in France. The footage from the Library of Congress runs for about 25 minutes. Although it is not a complete print and despite the uneven pictorial quality the original intertitles which were written by Kenneth C. Beaton are still in place and give a good impression of this remarkable World War I propaganda film. Although now considered "silent", this World War I film originally had a musical score which tied in with the Christmas season of 1918 and was composed by Hector Richard. Here is a download link to the film music of Under Four Flags, also available at the Library of Congress. 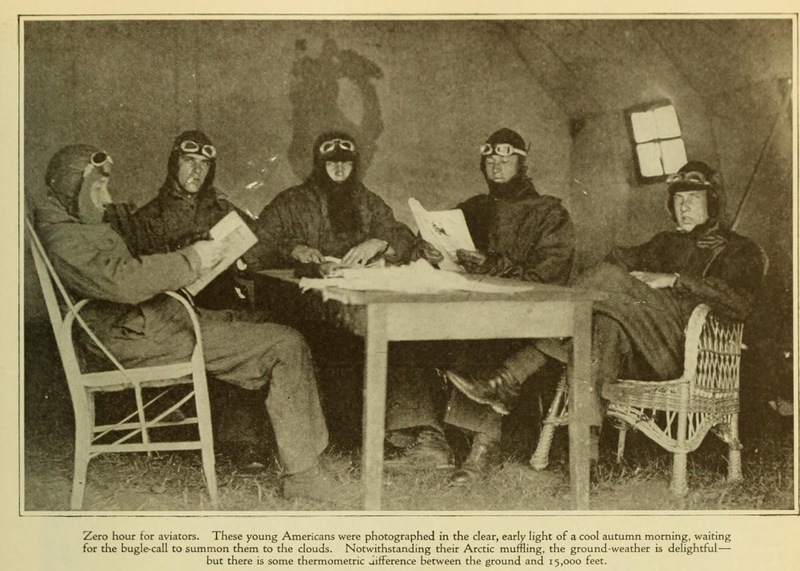 World War I film scenes sometimes were staged before the camera. The reasons for faking the footage were complex and have been described in more detail in our book American Cinematographers in the Great War. Some fake war films, like the movie that was shot by Arthur Dugmore on the Belgian defense of the city of Alost in September 1914, proved to be a huge success in the American movie theaters. This earlier weblog has more information on how war scenes were staged, with as an example the following film scene of a German infantry attack that was shot by American cameraman, Albert K. Dawson, on the Western Front around February 1915. Although film was a relatively new medium during World War I the movie-going audience in the United States knew that not all of these supposed 'war scenes' were for real. The film trade papers in America frequently ran articles warning exhibitors about the risks of showing fake and unreliable war films. The audience also read stories that explained how these fake war films were produced. A typical example is an article that was published in March 1916 in the popular magazine Illustrated World. 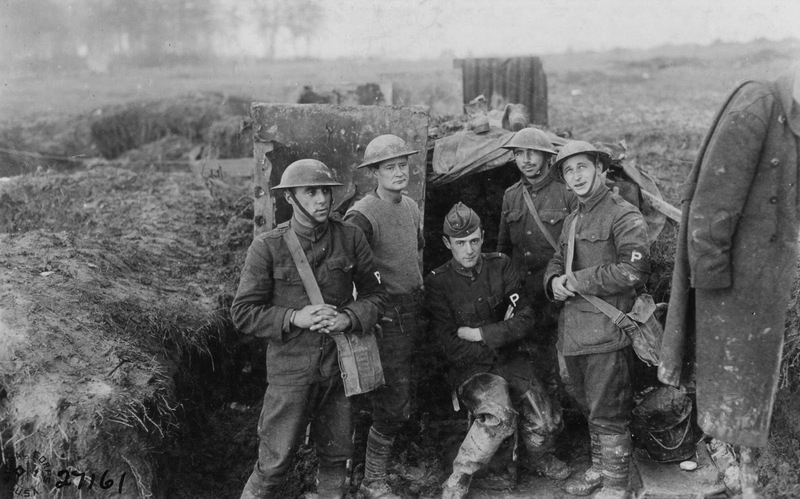 Author Edward C. Crossman describes a number of staged war films that were shown in the American movie theaters at the beginning of World War I, and explains how these scenes were made. He also goes into quite some detail on how the audience could recognize a fake scene from a real war scene, giving attention to the position of the film camera and technical details about the weapons that were used in the film. Although the writer of this article does not mention any names of producing companies the lines on a Belgian war film that was shown uinder the auspices of a big American newspaper may refer to the Chicago Tribune's film On Belgian Battlefields (USA, 1914) which was taken by the Tribune's staff photographer Edwin F. Weigle and is now considered 'lost', apart from a short scene that we could identify recently. Here is a download link to this article from Illustrated World. Around October 20, 1918 an estimated 14,000 people gathered in Grant Park, Chicago, for a huge movie project. 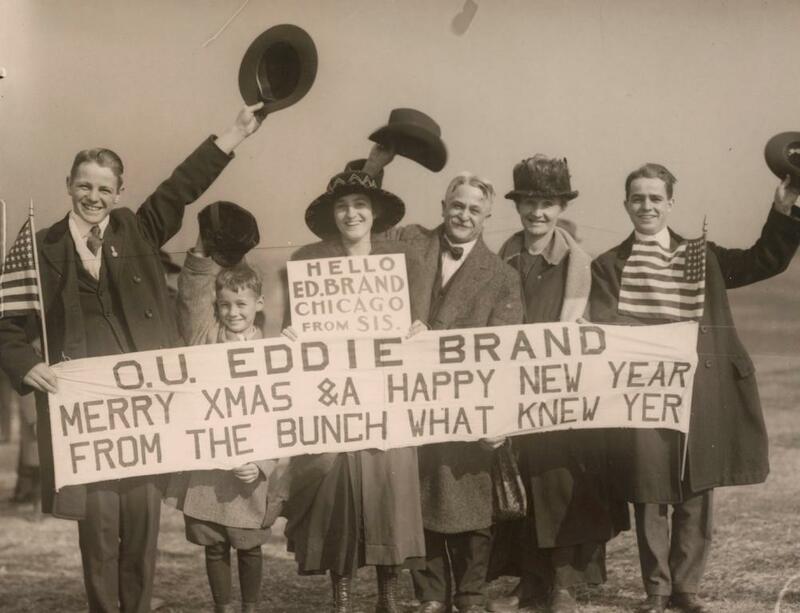 Friends, relatives and sweethearts of soldiers from the Illinois regiments that were serving in France all gathered to appear before the camera, so the soldiers could see their loved ones on Christmas Eve. The project was called "Smiles Films" and judging from contemporary reports it was a terrific morale booster. The idea actually was quite original. Usually films were made in Europe for the American home front, but this time it was the other way around. According to film trade reports, the Chicago Examiner - a Hearst newspaper - came up with this idea and joined forces with the Rothacker Film Company for the making of these special films. As production went underway the scope of the project expanded rapidly. At first the makers of "Smile Films" thought about shooting scenes of friends and relatives of soldiers from the 131rd and 132nd Illinois regiments. Then the Black Hawk Division was added to their list, as well as the 149th Field Artillery, the Marines from Illinois and the Afro-American soldiers. In the end director Rex Weber and his crew produced 34 reels of film, totalling 26,683 feet of film. When the "Smiles Films" were recorded war on the Western Front was still being fought by the American soldiers and no one could have guessed that the war would be over by Christmas. Sending a personal message over there by using movies was something the boys in the trenches would certainly appreciate. During post-production the footage was edited into segments according to the specific name of the military unit, so the film could be shown to the appropriate soldiers through the YMCA. Each film had an introduction by Governor Lowden and Judge Landis who was quoted on an intertitle urging the boys to "give the Germans both barrels". Director Rex Weber, who had made a series of films in 1917 for the American Military Relief Association, also appeared in these movies, announcing what would happen to Chicago when the soldiers returned home. A scene was projected next, showing the streets of Chicago that were turned upside down by tilting the movie camera. According to film producer Watterson R. Rothacker, director Rex Weber was thoroughly exhausted by this massive film project. In retrospect that turned out to be an ominous statement. On December 9, 1918, shortly before his movies were shown to the American soldiers in France, Weber died - one of the millions of victims of the Spanish flu that was sweeping across Europe and the U.S. at the time. Unfortunately, we haven't been able so far to find the footage of these "Smiles Films" in the historical film archives, but in the National Archives in Washington, D.C. we came across a fascinating selection of pictures showing the making of these films in Grant Park, Chicago. You are free to view and download these pictures here on our photo channel. Although they shot thousands of feet of footage you hardly see them on film: the official cameramen of World War I. 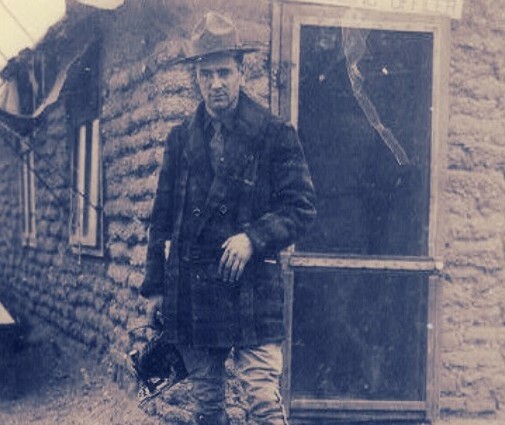 By a stroke of luck we recently found a rare movie scene that features one of these war photographers: William Fox, commanding the Photo-Unit attached to the 5th Division of the American Expeditionary Force. William Fox was mentioned in an earlier weblog. He was a press photographer who worked for Underwood & Underwood in New York City. In 1916 Fox was attached to General Pershing's forces as the only official accredited cameraman to cover the Punitive Expedition into Mexico. The National Archives and the Library of Congress in Washington, D.C. have a collection of pictures taken by Fox in Mexico at that time. Here is a selection of these photographs which were uploaded on our photo channel. 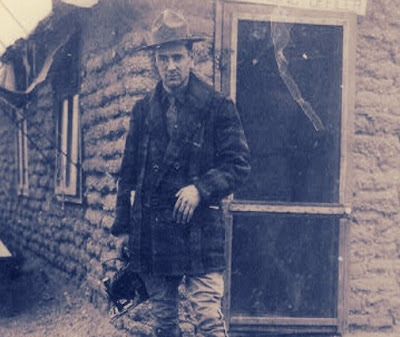 Thanks to Harry Kidd's excellent photographic research on the U.S. Signal Corps World War I cameramen we could trace some additional background information on Lieutenant Fox's work after the American entry into the First World War. First, we found two pictures taken by Fox in June 1918 at Newport News, Virginia, when he was covering troop transports to France. Either Fox stayed in the United States to take additional pictures, or - this seems more likely - he was sent to Europe around this time to direct the pictorial coverage of the 5th Division, A.E.F. Here is a link to one of his photographs, from Harry Kidd's photo channel on Flickr. Nicknamed "The Red Devils", the 5th Division was activated on December 11, 1917, just over eight months after the American entry into World War I, at Camp Logan, near Houston, Texas and began training for deployment to the Western Front. The entire division had arrived in France by May 1, 1918, and the units were soon deployed into the front line. Battle honors to the Fifth Division were earned for its participation at the St. Mihiel Drive and Meuse-Argonne Offensive. In October 1918, Lieutenant Fox and his photographic unit reached the Meuse river while the 5th Division was driving the German army out of the Argonne area. Their picture was taken on October 19, 1918, near Montfaucon. Harry Kidd's research at the National Archives has produced additional references to Fox and his camera crew. On October 22, 1918, he was filmed having lunch with members of his photographic team, as well as with officers of the 5th Division at mess. Here is a download link to the 'dope sheet' movie cards, describing these two scenes. Part of this footage we also found in the collection of the National Archives in Washington, D.C.
On October 25, 1918, three days later, Fox again was filmed inside the city of Cunel, when he was setting up his movie camera in front of a church that supposedly had been used by the Germans as a cinema. When Fox was filming Cunel had just been evacuated by the retreating Germans, but it seems the place was still dangerous because Fox appears to be running away from shell fire in the film scene that we found in the collection of the Imperial War Museum.